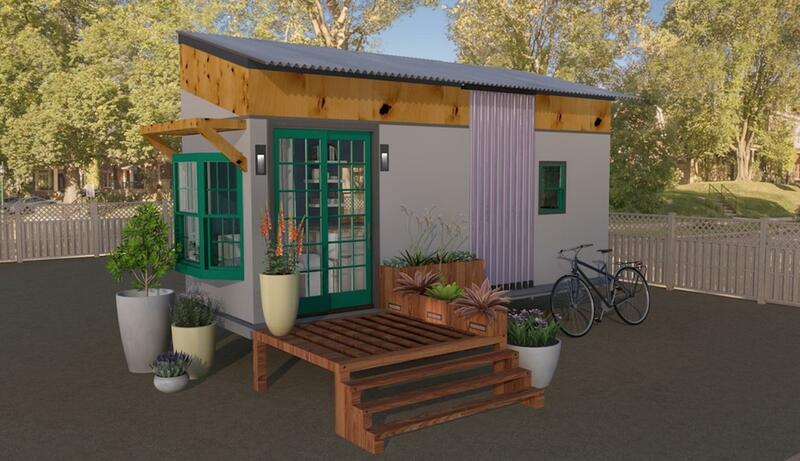 The SMUD Tiny House competition is coming up for the second year in a row. Last year, the competition was held at the Cosumnes River College in Sacramento. It is modeled after the U.S. Department of Energy's Solar Decathlon, but with a few modifications. For example, all houses must be less than half the typical square footage a decathlon model and also be built on wheels. They're judged and awarded in four categories—architecture, energy efficiency, home life, and communications. But all are expected to feature smart appliances, energy efficiency, and sustainable living in small spaces. The second round is coming up on October 17, according to Inhabitat, and there is some stuff competition this year. Inhabitat is featuring the work of Sol Vespiade, a group of students from Sacramento State who have built a 400-square-foot self-sustaining home. The entire home is solar-powered, with a solar array on the roof and the northern facade, though of course the entire home is movable, as it is on wheels. The southern facade has an evacuated tube solar collector. The collector uses sunlight to heat water for the house, which is stored in a 20 gallon container inside, along with the systems that monitor electrical and water use. Where does the water come from? The house is outfitted with a rainwater collection tank on the western side of the structure that holds 40 gallons. All these solar accoutrements are protected by steel frames, so you won't smash your electric systems while traveling. There's also a composting toilet. Aside from function, the house also has form, featuring a bay window, French doors, excellent ventilation to reduce the need for air conditioning, and a cedar trim. On the university's website, they write that the tiny house may be humanity's future. A sustainable unit like the one created by Sol Vespiade is also easier on the environment to build. As an example, they say that the average American home requires seven logging trucks to transport material, as opposed to the single truck needed for their creation. That means even creating your little piece of heaven is better for the planet than a mansion. The future is tiny, but good.